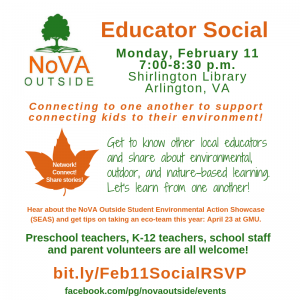 Join other preschool and K-12 educators and parent volunteers to connect around environmental, outdoor, and nature-based learning! Monday, February 11, 7:00-8:30 p.m. at Shirlington Library, 4200 Campbell Avenue, Arlington. Connect & network with other local educators! Attendees will have the opportunity to share interests, successes and challenges and to seek support for projects. Bring any business cards, event flyers or other information that you’d like to share with the group! 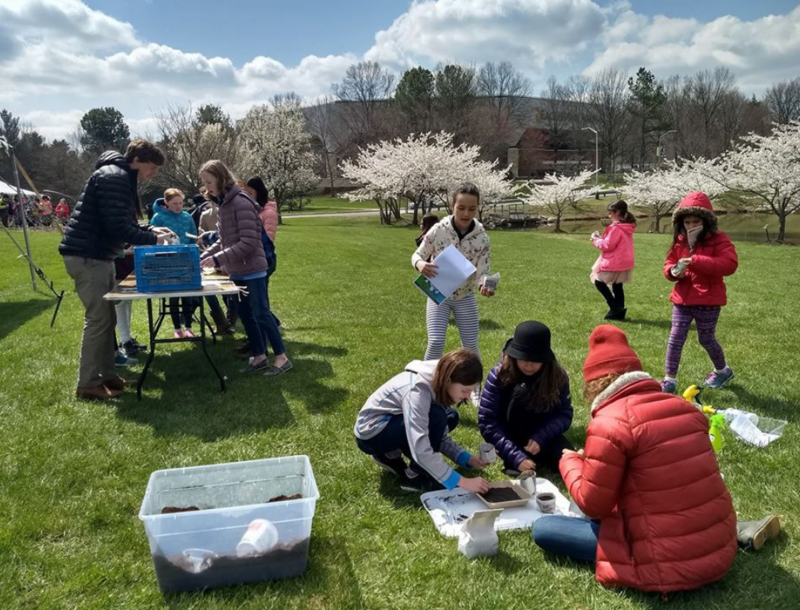 Plus: Hear about the 8th annual Student Environmental Action Showcase (SEAS) April 23 from two of the event organizers – Kurt Moser and Elaine Tholen – and from teachers who have taken eco-teams to SEAS.